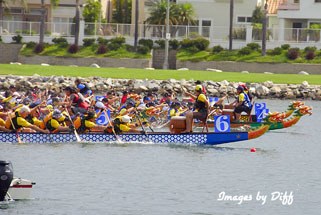 click photo to enlarge Long Beach has a Dragon Boat Festival every year held at Marine Park Stadium, a facility built for the 1932 Summer Olympics. Dragon Boat racing has a long history rooted in China over 2,000 year old. 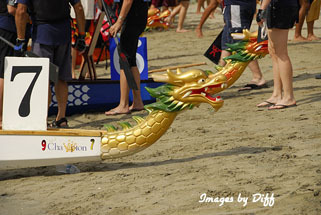 The Dragon Boat Festival commemorates the life and death of the ancient patriot-poet, Qu Yuan, who lived from 340-278 B.C. during the Warring States period of China. 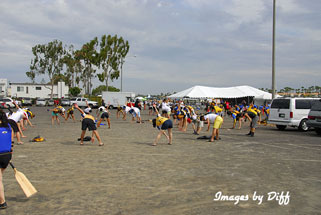 click photo to enlarge There were over 200 teams registered for the 2011 event. It stretches over a 2 day period. 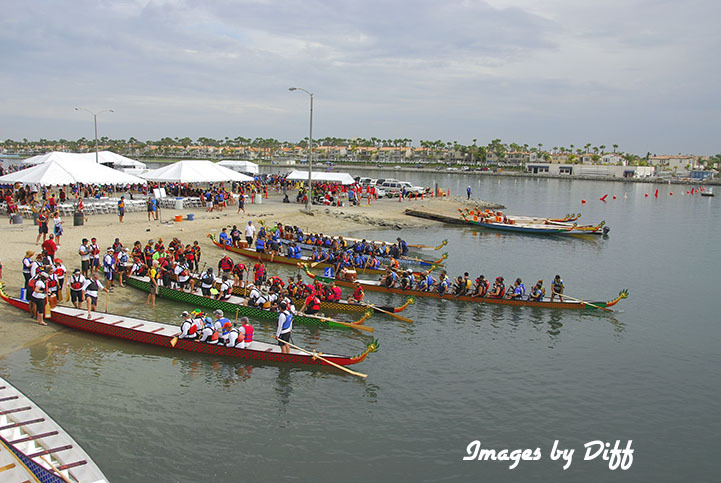 At first I thought it odd that all the boats looked the same until I realized they are all using the same boats. 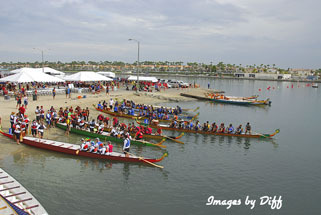 In other words each team does not bring their own boat but they actually use the same boats used in the previous race. I could usually tell why a team was in front in a race. The paddlers would all be in very good unison. click photo to enlarge Teams would do stretching and yelling to get themselves ready before their race. Of course what would any Oriental Festival be without some form of Martial Arts demonstration. 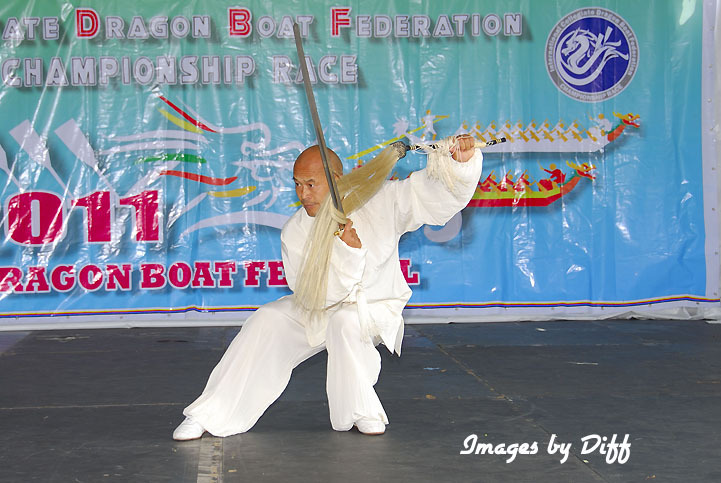 The Dragon Boat festival was no exception Master Tang from the Damo Academy Martial Arts performs here.